A florist for the wedding has been booked. The flowers have been chosen. On the wedding day, the bride gazes dreamily at her bridal bouquet, smells the lovely blossoms and feels like it’s the most romantic scent in the world. The florist has done a great job. Then, hours later, comes that portion of the program. That part where the bride is supposed to throw her bouquet to the bunch of single ladies at the reception. Oh, wait…is she going to just throw it the traditional way? Or does she remember to consider the mixed feelings that female guests have regarding the bouquet giveaway? Nowadays, it’s not always that simple anymore. Bouquet toss may or may not be the most anticipated part of a wedding. For many, it might be exciting to see who’s gonna catch the bride’s bouquet and possibly become the next bride. However, for some, it can a bit awkward because it only highlights those women who are not married or don’t have partners. They might feel uncomfortable to be identified as single. All married couples join the bride and groom on the dance floor. As the DJ plays the music, the emcee announces which couple will be eliminated according to how long they have been married. The last couple remaining on the dance floor, the one married the longest, will be given the bridal bouquet or a special present. Little charms on ribbon are tucked under the icing of the wedding cake. You can put as many charms as you want to accommodate more people. Each charm depicts a fortune. Example, a dollar for wealth, shamrock for good luck, a baby carriage for a child, wedding ring for the next bride or groom, etc. Instead of a bouquet toss, prepare many single stems of flowers that look like the one that you have in your bouquet. Place a motivational quote to each flower by tying them up with ribbons or gift tags that match your wedding decors. Place these single-stem flowers on a vase near the entrance with a sign to invite all women to take one. This will let all women in the wedding feel special, not just the singles ladies. If you’re allergic to flowers you can have a group dance instead. Invite all ladies to the dance floor surrounding the bride. Then have the DJ play the bride’s favourite party music like “Girls Just Want to Have Fun” by Cyndi Lauper, “Material Girl” by Madonna, etc. Have a single pot which contains charms, ribbons, flower petals, candies, and a ring. All women who want to participate should gather together in the middle. At the count of three, the bride will break the pot and whoever catches the ring will be the winner. The winner will then take the bouquet as a prize. Instead of tossing the bouquet, you can make give it to your mother as a token of appreciation, or to someone you dearly loved. You can also pass it to the next couple that will be getting married, if there is. You may include a video presentation with a short speech before you give the flowers. The bouquet to toss is a large set of flowers loosely tied with a ribbon. When the bride gets the bouquet, she discretely takes off the ribbon and toss. The flowers, then, go everywhere and every girl has a chance to get one. Everybody is invited to participate. The bride will toss the bouquet in front of the crowd. Whoever catches it, will win a prize. Prizes could vary from 2 movie tickets, one night hotel stay, and dinner for 2 at a restaurant, or anything you want. This makes the party fun and competitive making everyone crazy to get the prize. Being a bride-to-be gives you the best reason to go and attend the bridal events in town. Yipee!!! Imagine being with fellow brides-to-be, looking around for various wedding services, getting some special treatment because you’re getting married, gathering a million ideas for your perfect wedding, possibly booking a couple of vendors or so, and all that jazz. That is so exciting indeed! 1. Create an email just for your wedding planning period. This can help you organize things better and avoid unwanted emails on your main email account. After you’re wed and no longer interested in wedding business mails, you can just delete this account. 2. Check if pre-registration is possible. Many times, if you register in advance, you can get a discount on the entrance fee. 3. Prepare sticker labels with your name and contact details on it. Many vendors prepare raffle draws for special prizes, so these prepared labels will save you time in filling out raffle entry forms. 4. Wear your most comfortable foot wear, as you will be on your feet almost the whole day. Wear something that will identify you as the bride (like a shirt with “Bride” printed on it) so vendors will treat you accordingly (a.k.a. special & important). 5. Take your fiancé, your mum, your maid of honor, your sister, or whoever can come with you. They can help you gather ideas, make minor decisions and carry promotional materials handed to you by the vendors. 6. Bring a notebook and some pens (one with a cord that you can hang around your neck would be a smart choice) so you can write down notes. Write down all the information you get from vendors, so you’ll remember the pros and cons of each when it’s time for you to choose one. 7. Bring some cash and a check book or credit card. There will be bridal magazines and books at irresistible discounted prices, so you’ll need cash. And you might find the vendors you really want, you’ll have your check or credit card ready to book them. 8. Check the event’s rules if cameras are allowed, then it would really help if you’d bring one as this would help you recall ideas you liked at the event. Some bridal fairs, however, do not allow picture-taking. 9. Research what services you need before going to the event, so you can focus on these when entertaining vendors. Prepare your list of questions you want to ask to save time in interviewing them. 10. Know your budget well. If it would help you, do bring a small copy of your budget breakdown, so you’ll know what amounts to stick to when you face the vendors. A bridal fair is also a good venue to look for money-saving deals. 11. Bring some bags for carrying all the wedding information materials and samples you may get. However, remember that you don’t have to accept all the information packets handed to you, especially those that you really don’t need. It will just be an additional weight to carry. 12. Arrive early at the fair. Most often, organizers prepare special prizes for the early birds, and many of them are really cool rewards. 13. Don’t be afraid to ask the vendors your questions. In fact, go ahead and ask them everything you want to know about their services. They will be eager to answer you but you are not obligated to buy anything from them. 14. Don’t book the first vendor you meet. There would be plenty of vendors for each type of service at the bridal fair, so compare them well until you are totally convinced in selecting the one. 15. Don’t entertain vendors of items you already have. It would just be a waste of time to talk about details to wedding celebrants if you already have one. 16. In case you do intend to book a couple of vendors that day, reserve enough time in your schedule to discuss matters with them. Read contracts thoroughly, especially the refund policies. 17. Make time to attend the fashion show. Yes, almost every bridal fair would have that. It would be a very good opportunity to see the latest trends and to get ideas for your perfect wedding gown. 18. Have fun and enjoy. You do not have to panic and be overwhelmed with all the supplies available at the fair. If you don’t accomplish everything you want to do, there’s always another bridal event coming to town in a few weeks. There are numberless options as to where you can hold your wedding reception. The venue you choose can affect many other things in your wedding planning. First of all, the venue can affect your budget. It can also affect your theme, your decorations, your color scheme, the number of guests you can have, your wedding transportation, and so on. Of course, it is up to you whether you decide first on the venue and let everything follow it, or you can choose all the other mentioned elements first, and search high and low for the venue that would suit the rest. It is wise therefore, to carefully consider your priorities before making the big decisions. In deciding for your wedding reception venue, you might wish to consider the advantages and disadvantages of every option you have. Many couples choose to hold their wedding ceremony or reception or both in either of their families’ homes. The advantages of having the event at home is, first of all, you don’t have to hire it or pay corkage. It’s totally free! You also have more freedom to do what you want, use whatever decorations you wish, start and end at whatever time of the day. However, this option also has its disadvantages. You’ll have to be prepared for a lot of hard work, from preparing the place, to cleaning up afterward. Your home will most likely not have all the facilities you will need, from eating and serving utensils, to the size of toilets and parking area. The best thing about having the reception at a hotel is that you can just relax like a princess. The staff are well experienced in handling events, so they can provide you with everything you need for your reception. Often, they have packages that you can choose from, wherein most of your needs are included at a good price. You can also have your wedding as big and luxurious as you want it. The downside however, is the high expenses that you will have to expect. This is usually not the cheapest option for receptions, and almost every additional move you make might have its corresponding price. Like hotels, event centers are also well experienced in handling weddings. Because this is their business, they have a good directory of suppliers for everything they need to provide for the client’s event. Many also have wedding packages to choose from. The concerns for this venue, however, include the lack of overnight accommodations for you and your guests, the limited freedom when it comes to the number of guests you can have, and also the prices. The best advantage they probably have is their food, which is, of course, their forte. Also, you may not have to pay a huge rental amount for the venue. Restaurants are also more flexible in catering to what you need for your event. The disadvantages include the limitations on space, such as the size, shape and plan of the floor area, which may usually not really have been planned with weddings in priority. In this venue, you have all the beautiful natural decor, so this can be a savings on extra artificial decors. You can also have flexibility in how to have your wedding and the rental price, if any, may be minimal, if it is a public place. The problems may include lack of control over nature, such as the weather, wild animals and pests. Also, you will need to hire all the other things yourself, such as caterers and other equipment. The pros of this location include the large parking, the relaxed and informal atmosphere (if that is what you wish), the size and facilities, and the price, which is usually cheaper than hotels or event centers. The biggest disadvantage would have to be the limited menu. Though many planning checklists often advice that you decide on your theme and color scheme first, before booking your venues, yet some brides have learned through experiences that, on some cases, it is better to select a venue first and let the rest follow. Why? Because if you have limited venue options and later get trapped in a specific location with design and colors which do not exactly blend with your wedding style and color, you may have to spend many sleepless nights thinking how to connect these two big elements of your wedding day. Every bride who’s not as fortunate as Catherine Middleton or Vanisha Mittal would want to check out cheaper options for every wedding element she and her groom-to-be have to spend on. After all, no couple would want to start a married life with thousands of dollars in debt. Such as state would be truly miserable and can possibly lead to divorce, as financial problems is one of the major reasons why couples divorce nowadays. Of course, nobody would want that. Every couple dreams of a happily-ever-after marriage. Most couples usually have a budget to start with. Others may have tens of thousands of dollars to spend on their wedding, but many also have a budget that may be $5,000 or below. Practical couples, for instance, may opt to save some of the budget so they can buy some household necessities that wedding guests have failed to give them, such as a washing machine or an oven. How can a couple possibly save so much and still have the wedding of their dreams? Below are ideas on how to cut down on wedding expenses, have the wedding of your dreams, and not ruin your other dreams. If you have plenty of time and hands to help, DIY almost everything you can possibly do. Sign up for a wedding registry to get gifts that you really need/want, and not a dozen toasters. Cut down on the number of attendants you will have to save on the number of gifts that you need to buy for them. Cut down on your guest list too. Invite only the people who really mean something to you and your groom. A civil wedding at the court house is free and can help you save on expenses such as officiant’s fee. The fees for the paper works will be all you’ll need to spend on. If you insist on a church wedding, there are actually some churches that do weddings for free. Find one and have your wedding there. Check out bridal magazines. They usually have lots of ideas on how to cut down on wedding expenses. They may also have some discount coupons and raffles that may be worth trying. Don’t settle for the first vendor you meet. Instead, keep on looking around well ahead of time so you can compare prices and get the best offer. Don’t forget to get other brides’ opinions too. Sometimes, the location of your wedding and where you buy stuff for you wedding affect your expenses. You may consider a destination wedding. In the third-world countries, for example, you can have a grand, lavish wedding for less than $5,000. Check out certain newspapers that have discount coupons you can use when purchasing at craft stores. Visit your local dollar store and see what items you need that they have and that you can buy in bulk, therefore, at a much cheaper price. Another good place to look around are those garage sales. You may find almost new items at very cheap prices, such as table linens, vases, eating/serving utensils, jewelry, and, if you’re in luck, even left-over craft materials, such as beads, ribbons, etc., that you can use for your favors, decorations and other accessories. Remember your friends who had their own weddings recently. They may have purchased stuff for their weddings that you might need for yours. Use the “something borrowed” excuse. Do you have a family member/relative or good friend who has good sewing skills? Maybe you can ask that person to do your dress. Or if you have good sewing skills, the better! Wedding gowns are VERY expensive, but beautiful white fabrics aren’t. Observe the “something old” tradition. It can be your mom’s wedding dress or shoes or jewelry, so you don’t have to spend on either of that. If you want a ballgown type, use nice and tasteful fabrics only on the outer layer of the gown. You can have your petticoats in a lot cheaper fabrics and nobody would care. Make your gown as simple as can be to cut on fabric costs too. If good sewing skills are nowhere to be found among the people you know, then you simply have no choice but to go shopping. If you shop early, you may be able to find a nice white dress during mall sales. Bear in mind that a white dress is less expensive than a wedding gown. They usually place a more expensive price on a wedding gown just because it is classified as a wedding gown and not just a white dress. If you have to buy a gown, check Ebay, thrift stores and second-hand stores. Nobody will know the actual cost of your gown, as long as it’s clean and well-pressed and you carry it as though it is from Vera Wang. Another option is to rent a bridal gown from a bridal shop. You’ll wear it only once anyway. Have your hair and makeup done by a family or friend who’s good at it. If you are good at doing your own hair and makeup, then do it yourself. Months before, look for a hairstyle that you want. Practice doing it so when the big day comes, you can do it yourself. If you want to do it yourself but don’t want to be too stressed on your wedding day, choose a hairstyle that is very simple and not require you any special skill to do it. Instead of buying a new one for yourself, borrow a nice, bridal-looking barrette, tiara or hair comb from a family or friend. There can be someone you know who have recently bought and used a nice hair accessory to another wedding, prom or formal special event. You can always use the “something borrowed” reason. Sign up for a free wedding website. Then put all other necessary information about your wedding in there, like directions, list of wedding party members, menu, registry, etc. Then all you need to send out is a simple invitation card for politeness’ sake and none of those other things. You can just add a note where they can find your wedding website. This will help you save a lot on paper and printing. If you have a computer, make your own invites. There are some websites that have wedding invitation templates that you can use, just in case you are not a very artistic and talented person in making invitations. There are also DIY invitation kits sold in malls that are quite good and inexpensive. Have your reception in your backyard, or the backyard or house of a family or close friend, so you don’t have to pay extra for reception venue. Some public places can be possible reception venues, such as a local park, clubhouse, or pavilion, and if not free, they would charge only a very minimal fee. If you’re getting married in a church that has a fellowship hall in the same compound, that’s a very good place to have your reception also. If not, the church may have a wide backyard or garden. Take advantage of those things. If you have family or friends who have amazing culinary specialties, you may request them to donate a dish of their expertise for the reception. It can help decrease your food expenses. Wedding cakes are also expensive. If you can bake it yourself or get your mom, relative or friends to do it, the better. Your wedding cake can be your dessert at the reception. If you have to buy the cake, get it at the grocery’s bakery section. They sell it cheaper than regular bakeries do. Check your backyard for something you can harvest and possibly turn into a dish. You might have lettuce and tomatoes that you can turn into Caesar’s salad. Or apples you can turn into apple pies. Make enough gluten that you can use as meat extenders in your meat dishes. Flour, the main ingredient of gluten, is a so much cheaper than additional amounts of meat. Have a mid-morning or mid-afternoon reception. In this way, you’ll only have to serve lighter refreshments, such as cakes and punch, and not main meals. Alcohol is not a necessity at a wedding reception. You don’t have to serve wine to everybody. Use natural decorations, such as potted plants from your garden, if the wedding would be indoors. Check those Christmas decors you have stored in the attic. There might be some stuff there that you can use as decors, instead of buying new ones. Christmas lights, for example, can make the venue look a little more dramatic. If you can have your wedding around the Christmas season, you might even not need to decorate anymore, as lots of Christmas decorations are already present. Keep the decorations simple but tasteful. Get your wedding party to DIY the decorations a week before the wedding so you will not have to spend extra on service fee. Choose a wedding theme that can help cut costs on your wedding expenses. For example, you can have a picnic style reception where you’ll have blankets or table clothes on the grass, without tables and chairs. Then you won’t have to rent tables and chairs. A country/barbecue style wedding is also an inexpensive wedding theme. Instead of buying or renting vases for flower arrangements/centerpieces, you can collect clear empty bottles from sandwich spreads and tie a lovely ribbon around each clean bottle. If you are planning to buy your flowers, bear in mind that artificial flowers are cheaper than real ones. If you have a garden with beautiful flowers in it, you can hand pick some so you don’t have to buy. If you don’t have a garden, check if you have a relative or friend who has and would be wiling to give you some flowers for your wedding bouquet, etc. Grow your own flowers. You will have to check your calendar in doing this, to make sure the flowers will be ready a day or so before your wedding day. If you plan to have your reception in your backyard, plant flowering shrubs months ahead, if you don’t have flowering plants in your backyard. By the time your wedding day comes, they will be in bloom and you will have live, growing flowers as natural decorations. You won’t have to worry about buying flowers for decorating the place. If planting a flowering plant is impossible, instead of having complicated and expensive flower arrangements as bouquets, you can have a single flower tied with a pretty ribbon to hold as your bouquet. Many weddings have had single flower bouquets and have looked elegant and stylish as well. Potted plants or tiny flower arrangements as wedding favors can double as table centerpieces. If you prefer a different wedding favor, choose something that can double as table centerpiece so you don’t have to spend extra. Sugar almonds are among the cheapest wedding favors. You can pack five sugar almonds in each organza bag as your bonbonnieres. You can compose a nice poem, a small recipe collection, or a list of nice inspirational thoughts that you like. Print them in nice, inexpensive paper and you can give them away as favors. Check out the dollar stores. They have many cheap items that can turn out to be really nice favors. Plant seeds, packed in small nice paper bags, are also popular cheap wedding favors. In your computer, layout a nice cute bookmark with the couple’s picture, date and venue of the wedding, a simple nice inspirational quote and words of thanks. You can even personalize them by adding the name of each guest to whom you are going to give it. Print them on your printer on nice board papers. You can give them away as favors and they’re guaranteed to cost a very small amount. If your budget simply cannot accommodate even the cheapest favors, you can even do without them. Wedding favors are optional and not compulsory at all. Record your choice songs on an Ipod, MP3 player or a CD so you don’t have to hire a band. You may have a good friend who has wonderful hosting skills. Then you won’t need to hire a wedding host. Check who among your family/friends/guests has nice musical talents. That can serve as your entertainment at the reception. Then you won’t have to pay for talent fees. If you should have some games at your reception, try to have some which don’t require so much props. Give away very simple, inexpensive gifts, like a framed picture of the newly wed couple complete with autographs of the bride and groom. Choose venues (for wedding ceremony and reception) that are close to each other, or if possible, have both at one venue to save on transportation expenses. You don’t have to rent a limousine to bring you to your wedding venue on your wedding day. Someone you know may have a nice white car you can decorate with flowers and ribbons that will serve as your bridal car. Someone who cares would be glad to be your driver for the day, then you won’t have to hire a chauffeur. Almost everyone has a digital camera nowadays, so ask your family and friends to be your photographers/ videographers at your wedding. Have them download the pictures in their computers and email them to you, to save on printing. Later on, you can print only the ones you really like. You can also have your online album for all your guests to enjoy. If you really want artistic photography but can’t afford it, maybe you can ask a friend or family to self-study artistic photography a few months ahead. They can practice that skill in other events or everyday life, so that when your big day comes, they’ll be almost as good as a professional photographer. At the wedding reception, very often, there would be a book being passed around the guests. Guests sign in and write a short message for the newly weds. 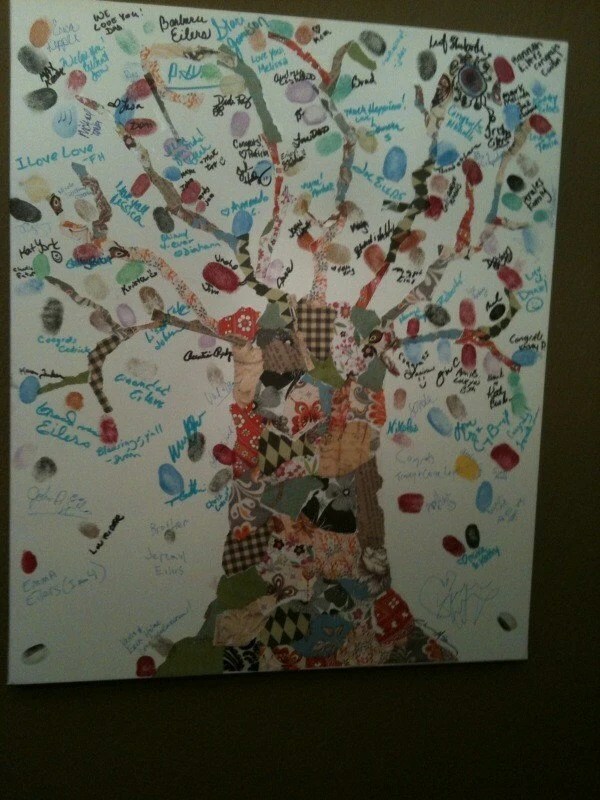 This is, of course, the wedding guest book. While there is still the simple and very typical wedding guest book, there is also the trend of a large portrait of the couple, where there are margins large enough for guests to sign and write their well wishes on. This may be a nice variation to the ultra-simple guest book, but then again, what is fun? A guest book can be a wonderful source of memories of your wedding day and those who came to celebrate with you. Because of this, it is never foolish to be a lot more creative with your “guest book” to make it as memorable for you as it can be. You’ve seen dozens of brides, looking so gorgeous in their wedding gowns, and have maybe thought of your turn. You’ve seen the lovely invitation cards and have probably imagined what color you would want for your own. You’ve also seen the beautifully wrapped presents and have probably wondered if you’re gonna receive as much when you wed too. But when your man has proposed and you start writing down all the things you need to prepare for your wedding, you suddenly realize it’s not all dream and magic. It’s a big, expensive affair! You wake up and see the price tag of a real bridal gown and it’s somewhere around a thousand dollars. If your parents are not paying for your wedding and leaving that financial concern to you and your fiance, where are you going to get that humongous amount of money, especially if you don’t want to get a bank loan? Don’t worry. There are lots of ways to earn money and, from the list below, you will surely get some ideas you’d want to try to come up with your wedding fund and have a nice wedding of your dreams. Here is the list of sensible and crazy ideas, which can yield either big bucks or few cents, but either way, still help increase your wedding funds. If you were jobless at engagement, getting a regular job with a fixed salary to receive every two or four weeks would be a big help. If all goes well and you stay employed at least until the wedding, then you can already plan your budget based on your estimated net receivable. Get a second part-time job. If you think your income from your first job may not be enough, then a second part time job will help. Depending on your qualifications, your part time job can be anywhere from teaching a few units at the university, being a call center agent, teaching at a music school, waiting at a restaurant, or working as a party DJ. Get some of your friends and family to pitch in items they no longer want. Just make sure to let the community know by posting signs in various streets before the sale day. Aside from earning extra cash, this will also help you get rid of your own clutter too. Get crafty and sell your goods. Many people nowadays create nice things and sell them on Etsy. Some even post pictures of their goods on Facebook and invite their friends to place orders. Sign up as cosmetics dealer. Companies such as Avon, Mary Kay, etc. would love to have another representative to sell their products for them. You can sell whenever you want, earn some commission, get items for yourself at a cheaper dealer price, and may even get a few product samples that you can even use on your wedding day (such as lipstick or perfume samples). If it has been popular and effective among fundraisers of women’s organizations, churches and charities, it can work for your wedding fund too. Your lady attendants can even help you out with this. If your bridesmaids are game, they can help you out with this. Even your groom and his men can help out too. Put some cash on term deposit. This will work best if you still have about a year or so before your wedding. Some banks have terms as short as 6 months. This can earn you more cash than the usual interest rate of the bank, and best of all, your money earns even while you sleep. Remember the Baby-Sitters’ Club? In the 1990’s, this was one of the popular book series. Together with your bridesmaids, you can organize your own club too, be the neighborhood’s babysitters and earn the bucks for your wedding. Take advantage of any skills you have. If you are skilled in hair cutting, for example, you can cut your friends’ hair every time they want to, for a fee a little lesser than the usual amount charged by professional hair cutters. By going to you, they help you and at the same time, they also save by paying a cheaper amount. You’ve walked down the street and seen a penny lying on the sidewalk a number of times, but too busy or too shy to pick it up. Now is the time to start picking them up. If nobody’s around and it seems impossible to trace the owner of that stray coin, exercise your body by stretching down to reach the coin and put it in your coin jar. A few of those may save you the cost of one extra invitation card, stamp or favor. Take advantage of the holidays. You can do something as big as catering someone’s Christmas party or simple as accepting orders for fruitcakes, cheesecakes, or Christmas favors. A month before the Christmas trees start appearing, you can also make nice handmade trinkets that can be placed on the trees. Sell them to your friends, neighbors, and even online. Busy students especially can have a number of things for you to do for a cost. It can be typing a school paper, doing some big research for a thesis, helping with a project, type resumes and so on. Collect cans and help the earth too. A number of real couples have done this task. They have gone around collecting cans and sold them to recycling companies for some money. Aside from doing it themselves, they have also advertised their contact details online so even strangers, who are in the vicinity, who have lots of soda cans and are willing to help can ring them to pick up their cans and add to their collection. The first essential decision that you have to make when you start planning is the wedding date. You might think it’s simple, but when you are at it, you will discover plenty of concerns that will make the task seem frustrating and challenging. How do you decide when exactly to have your big event? It really depends as to which factor is your top priority. It could be your family, dream venue, your schooling or job, your budget, and many others. Let us discuss why each can be a vital factor in selecting your wedding date. Perhaps you feel that it is very important to have all the family members who are dear to you to be present at your wedding. Then it means considering their schedules. When will your closest aunt and uncle and cousins, who are living abroad, be able to get a two-week leave from work and school? When can your sister, who is residing in New Zealand and not very financially well off, be able to save enough money for her airfares and take a leave from work to attend the wedding? When do your parents prefer to have your big event? When can your fiance’s father, who is on a job contract for several months in Europe, be able to make it? What dates will be comfortable to all of them and you? It will take a careful planning to coordinate your schedules. If you have your heart set on having your wedding at a specific place, such as the church where your parents got married and the reception at the hotel where your fiance proposed over dinner, or the park where you and your fiance first met, you will have to choose your wedding date based on the availability of these places. If this is your priority, you will have to check with these venues which dates are available, and you will have an idea, more or less, which dates you can choose as your wedding date. You can then move on to the next factors which will affect your decision on selecting the date. Unless your wedding is going to be a very simple ceremony with only 10 guests in your own house, you will need more than one day off from school and/or work and, of course, some more days or weeks if you choose to have an enjoyable honeymoon after that. Because a wedding requires a lot of preparation, it is best to choose a date which is during a school break, if either of you is still going to school, or on a date when your boss will allow you to take a vacation leave from work, and not on the same week as exams or work deadlines. Real brides even suggest taking a leave at least three days before the wedding, so you can have time to relax and look your best. Check your school break schedule and your work schedule to help you determine which dates are the best. You may also want to get married on a date that means something special to you, your fiance and/or your family. It could be exactly one year from the day your fiance proposed, on your parents’ anniversary, on either of your birthdays, on the date when you shared your first kiss, or on the birthday of your favorite grandparent who has passed away. If you are after a budget wedding, then you might want to consider marrying during off-peak months, such as January, March, or December, when the prices of goods and services in the wedding industry are at their lowest. A weekday wedding, rather than one on Saturday evening, would also be most favorable. Also if you and your fiance will be spending for the wedding, without financial help from your families, you will have to consider how soon will your savings be able to afford the kind of wedding you want. This factor can affect your wedding style, theme and location. For example, if you are after a lovely garden or beach wedding, you would like to consider the non-wintry months. Or if you want an autumn wedding, then you can set your date around the fall months. Grand weddings will require you around a year to organize it. The more complicated and luxurious you want your wedding to be, the more time you will have to allot for its preparation. Until you have set a date, most elements of wedding planning would be almost impossible. The information on your invitations, for example, can never be finalized until your wedding date is set. Do some research, consider your priorities and have a clear communication with your fiance and your dearest ones who matter, and select your wedding date wisely. Creating your wedding guest list is not exactly as easy as 1-2-3. It can be stressful and confusing. It can mean having to make some tough decisions. And of course, every bride would not want to forget any important guest, nor miss to record a positive reply from a couple of invitees and end up having more guests than the final head count you gave to the caterer two days ago. Do not worry if you cannot come up with a final guest list overnight. Nobody does that, unless your wedding is tomorrow and you started planning today. The guest list often starts as a draft, with everyone you would like to share the special event with on it. As you gain a clearer vision of how you want your wedding to be, you get a better idea of how small or how large your final list ought to be. You may also start planning with a specific budget in mind, which you will consider in determining the size of your guest list. While you would like to stick to this budget, it is also possible that in the next month or so, there might be changes in this budget, such as an additional donation from Uncle Joe, or on the opposite, a loss of one important source of funds. These possibilities are also factors in determining your guest list. Even if you think you have finalized your list, there’s still the guests’ availability on your wedding date. You may have prepared a list of 100 guests, but when the invitations are out, you get 17 replies that they can’t make it. This is where you’ll need your B-list, where you invite some more people to make up for those who can’t attend and still keep the same intended number of guests of the wedding. ~ People you haven’t spoken to in five years or more. ~ Boyfriends or girlfriends of your guests whom you haven’t even met or aren’t close to. ~ People you aren’t really close to but are in your list just because they also invited you to their weddings, or just because they sent you a gift in advance. ~ Co-workers whom you aren’t really close with or don’t socialize with after office hours. ~ Children, especially those who aren’t family. If most of your guests have lots of kids, this can cut down the list dramatically. ~ You don’t have to allow your single guests to bring a date. If you are worried that some singles might not know others or might feel alone & out of place at the event, the better option would be to invite a mutual friend, or to arrange them to be seated beside some of your friendliest guests. ~ Ex-boyfriends and ex-girlfriends, or ex-spouses, of you and your spouse-to-be are definitely not to be invited, even if you are still “friends”. All wedding planning experts highly discourage inviting them. ~ It is also wise to avoid inviting people who tend to drink too much. You wouldn’t want to run the risk of them getting drunk at the reception and ruining the party, nor would you want to have a large bill on alcohol. ~ Also avoid inviting people whom you think would “speak up” instead of “holding their peace” at the ceremony and people with whom you aren’t exactly in good terms. You want to be happy and relaxed on your big day, not worried about these people and their behavior. 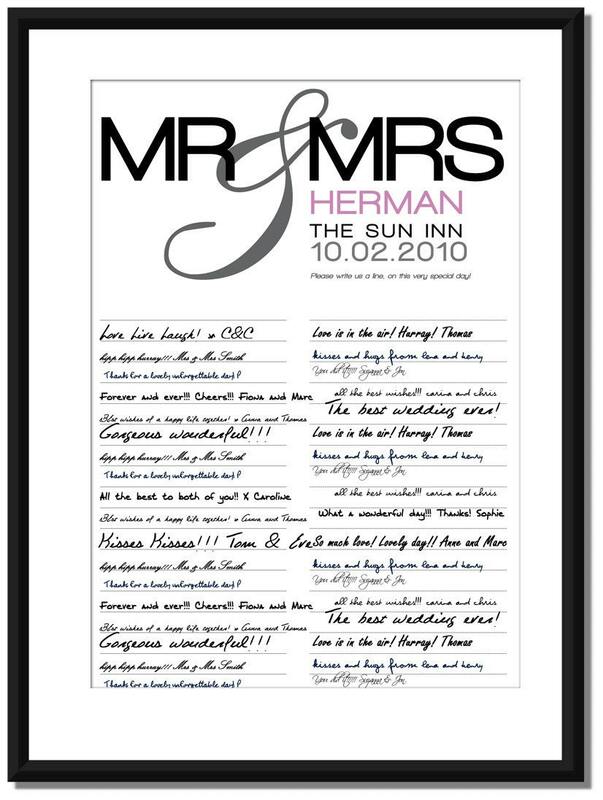 Be sure that you and your fiance have a good communication about your final guest list. Bear in mind that you’ll need to prepare at least an invitation, a stamp for that invite, a copy of the wedding/reception program, a place card, a favor, a meal, a drink, and a slice of the wedding cake, to each name that you have on your final guest list. These are just some of the reasons why your guest list has definitely a lot to do in all your wedding planning. This aspect of wedding planning is something that comes up very early in the planning process. In the olden times, the bride and her family spend for everything in the wedding, except the rings and honeymoon, which are shouldered by the groom. In modern times, however, the more popular and convenient way is to divide the wedding expenses between the bride and groom and/or both families. Below is a traditional list of who pays for what, but it can be modified and the final decision depends on who is most willing and able to pay. Though the attendants usually spend for their attire, the bride may also assume the expenses for her attendants and the groom for his. Save-the-dates, invitations, announcements, thank yous, personal notes, napkins, and mailing expense. Church fees, including fees for musicians. Caterer, food, beverages and wedding cake. Transportation for the bridal party. Accommodations for out-of-town bride’s attendants. Flowers for the bride’s bouquet, corsages for the mothers. Gifts for the groom’s attendants. Accommodations for out-of-town groom’s attendants. ONE of the first and most important things to do in wedding planning, or any event planning at all, is making the checklist. This is absolutely essential if you want to have things well organized and not forget important details of your big event. It helps you be aware of what needs to be done first, last, and in the right time, and saves you from panic and stress. Imagine how it would feel to have sent out all the invitations to the guests, only to realize that you have forgotten to book the venue early enough and found out that the venue is no longer available. Well, so much for stressing your imagination. Let’s begin your wedding checklist. ~ Announce your engagement to your family and friends. ~ Have your engagement announced on the newspaper, related magazines or the web. ~ Make a wedding website. ~ Get an organizer to keep track of appointments. ~ Choose a wedding date and time. ~ Select & book venue for the wedding and reception. ~ Select & book officiant. ~ Start making a guest list. ~ Talk with your fiance (and both your parents) about the wedding budget. ~ Make a record keeping system for payments. ~ Select a wedding theme. ~ Determine the wedding style and its degree of formality. ~ Start a wedding scrapbook. ~ Start looking for a caterer, if not provided by the reception facility. ~ Start looking for a florist, photographer, and videographer. ~ Select musicians/DJ/band and other reception entertainment. ~ Hire a wedding planner. ~ Decide about your bridal party. ~ Start planning your bridal attire and researching for attendants’ attires. ~ Create a bridal registry. ~ Start preparing necessary documents (birth certificates, passport, visa, etc.) for marriage license application and honeymoon, if going overseas. ~ Register for wedding gifts. ~ Inform attendants of their responsibilities. ~ Order wedding gown & accessories, groom’s attire, and attendants’ attires. ~ Order the wedding cake. ~ Decide on honeymoon arrangements. ~ Decide on wedding transportation. ~ Start a health/weight loss program. ~ Start looking for wedding bands. ~ Order invitations and stationery. ~ Order wedding favors and gifts. ~ Send out Save-the-Date cards. ~ Decide where to reside after the wedding. ~ Design the layout of wedding program. ~ Plan itinerary for out-of-town guests. ~ Meet with caterer to discuss menu and other details. ~ Meet with officiant to discuss date and time of wedding rehearsal. 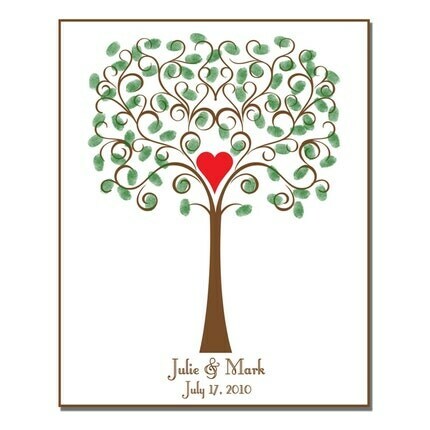 ~ Shop for wedding guest book. ~ Finalize arrangements with florist, photographer, videographer and musicians. ~ Plan the rehearsal dinner and bridesmaids’ luncheon. ~ Apply for a marriage license. ~ Start planning for the program for the ceremony. ~ Confirm wedding cake details. ~ Look for hairstylist and make-up artist. ~ Plan the seating arrangement for the reception. ~ Make the reception program. ~ Decide on final wording of your wedding vows. ~ Select the music for the ceremony and reception, including the traditional dances. ~ Provide the band/DJ/musicians copy of the music selection. ~ Schedule final fitting for the wedding gown and attendants’ attires. ~ Follow-up on the wedding bands. ~ Purchase all other wedding accessories, such as candles, goblets, garter, etc. ~ Buy a gift for the groom/bride. ~ Send out wedding invitations. ~ Prepare an itinerary for the wedding day and provide the wedding party with copies. ~ Prepare papers necessary for your changing of name. ~ Have your formal wedding portrait taken. ~ Confirm your guests’ accommodations. ~ Check all wedding clothing and accessories. ~ Pack an emergency kit with important things for any emergencies during the wedding and reception. ~ Make sure that your bridal attire is ready, clean, well-fit and pressed. ~ Discuss the seat arrangement with the ushers. ~ Discuss final details with the photographer and videographer. ~ Give the final headcount to the caterer. ~ Finalize rehearsal dinner and bridesmaids’ luncheon. ~ Get a manicure, pedicure and massage. ~ Set aside everything you need for the wedding & reception. ~ Give gifts to each other, and to attendants. ~ Reserve plenty of time for dressing up so you don’t have to rush. ~ Always be ready to smile. ~ Don’t forget to say “I love you” to the person you are marrying. So, there goes your wedding checklist. Feel free to add or alter some as you feel necessary. Just don’t forget to review your wedding checklist every month in the early part, and every week, in the later part, so you’ll be reminded of every essential thing you need to be done to make your wedding day memorable and stress-free.